Apologies in advance if my terminology is not exact, as I'm a very amateur hobbyist just starting out. 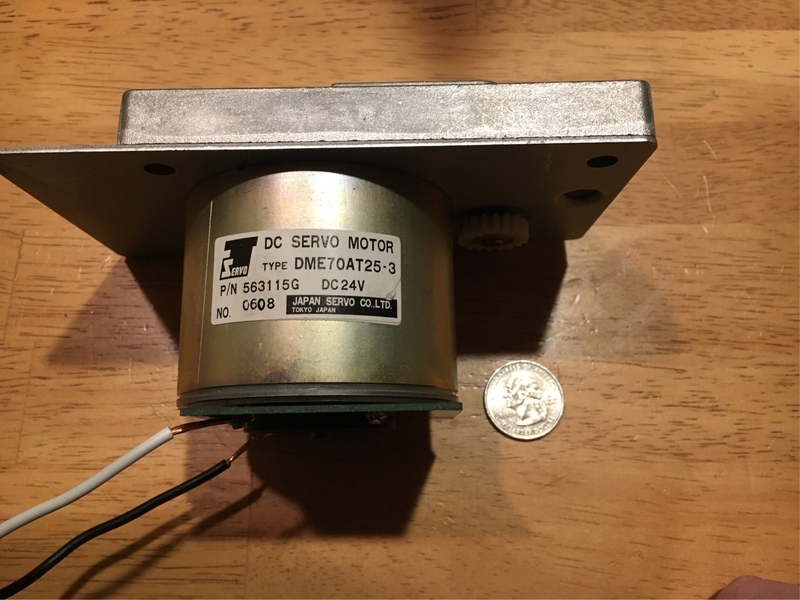 I have a DC servo motor that I bought used, rated at 24V maximum, with variable RPM depending on how many volts I supply to it. The motor works fine when I connect it to a 9V battery, but pulses and drains a connected power supply periodically (every second or so). I bought a power supply so I could use the motor from an AC outlet (USA - 120V). The power supply has a small green LED above the variable output screw. I tested the output with a multimeter when I connected it with 18/2 lamp wire to my outlet, and I verified (at least I think I did) that it is outputting between 9V minimum and 24V maximum, depending on the screw being fully counterclockwise or clockwise, respectively. 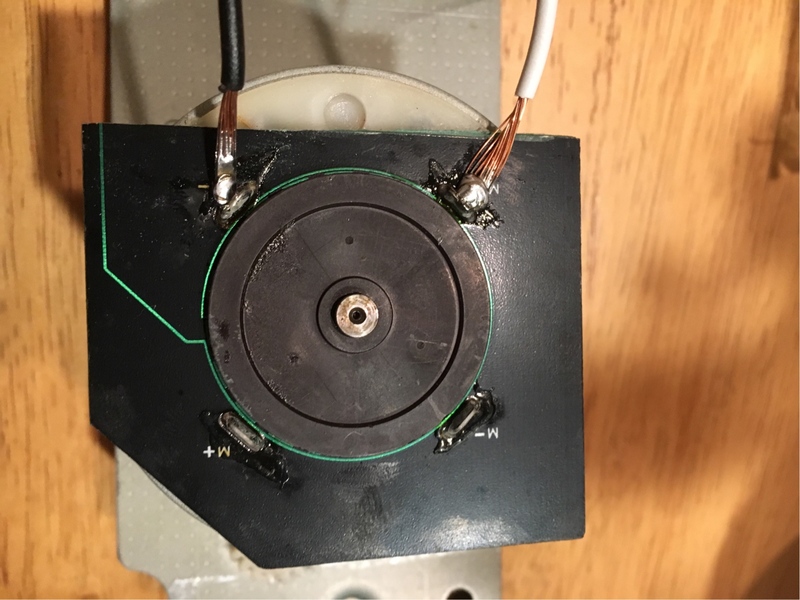 When the motor is connected, it spins for a brief moment (100 milliseconds or so) and the green led on the power supply goes out. Then the green led turns on again (it takes about a second) and the motor again spins and the led goes out, and this cycle continues endlessly. I have checked that all my positive and negative connections between the power supply and the motor are correct, and the neutral AC to power supply matches as well. Without seeing the motor specs I expect the servo can draw 10 x the rated load current when accelerating to reach full speed. Your supply can only support a slow ramp. This is normal for good DC motors. The current drops as rapid as the speed rises as current is a force that controls acceleration then rated load at rated RPM. Surge currents are always much higher than the static current rating. This means the supply cuts out from overcurrent causing shutdown then recovery, so you get a jerky pulsed acceleration. Your only options are ; use a slow ramp for speed up, get a bigger supply. SLA Battery option may be possible to support the surge. DIY Variable Power Supply With DC Motor Controller? How do I use this Switching Power Supply with power from a wall outlet? Laptop power supply with hot foam cutter?